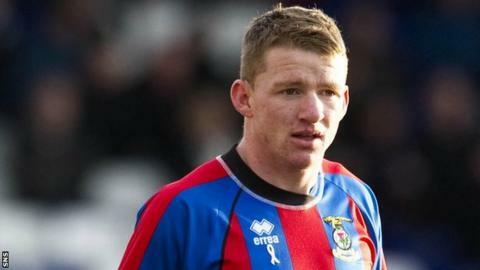 Aberdeen say winger Jonny Hayes has agreed a move from SPL rivals Inverness CT. The Dons said the 24-year-old, whose contract with the Highland outfit expires in the summer, had agreed a two-year deal. Aberdeen chief executive Duncan Fraser said: "Jonny was a key target and we're delighted. "I'm pleased to say he has chosen Aberdeen ahead of a number of potential clubs." Former Republic of Ireland Under-21 international Hayes joined Caley Thistle in July 2009 after leaving Leicester City. Fraser told Aberdeen's official website that the club had met Hayes's agent Des Byrne before the last game of the season. "Both Jonny and his agent felt that this was the right move for him," Fraser added. Hayes, the club added, would sign for the Dons on his return from holiday.